What Is Your Favorite Flavor? 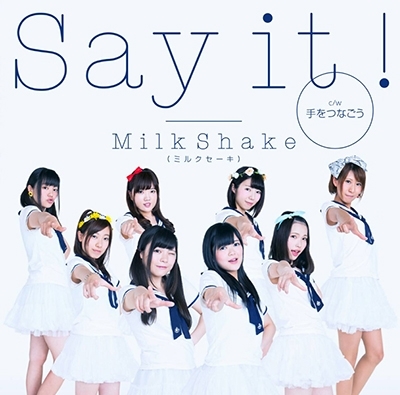 - MilkShake (ミルクセーキ) Nagasaki - Idol Spotlight! Do you like vanilla, chocolate, strawberry, cookies & cream shakes? If not, what is wrong with you? 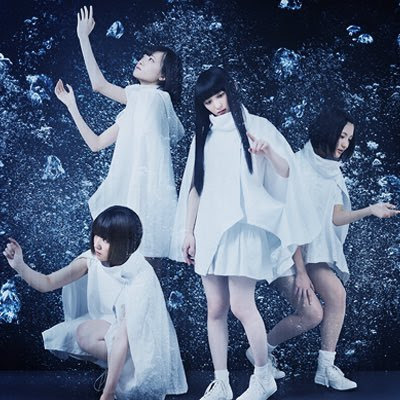 So, with that introduction let me introduce you to one of the most underrated idol groups that I have been fond of recently. 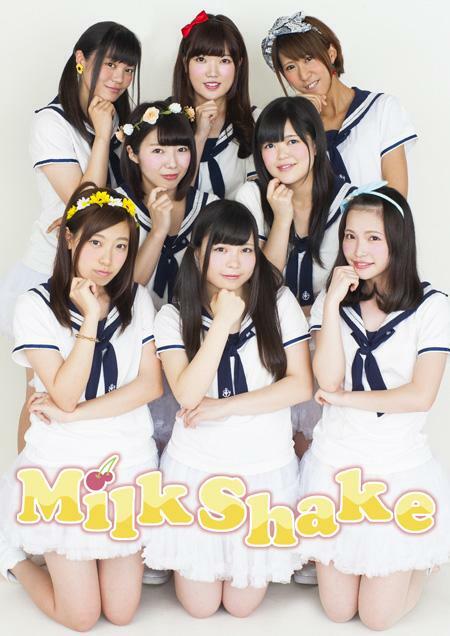 The groups name is MilkShake Nagasaki and as in the name of the group, they are named after the ice cream dessert. But in Nagasaki, unlike here in the states, is not in a drink form. It is in more of a sorbet format. According to online sources, it has a vanilla and citrus flavor to it, which sounds incredible. Truth be told, before writing this, I actually went out and purchased one to eat while writing. The group originally had six members. The lineup featured Miyu Nishiyama, Runa Itoh, Mai Murakami, Maria Nakagawa, Yuuna Kawai, and Kei Yokozawa. In May 2014, Miyu Nishiyama graduated from the group. 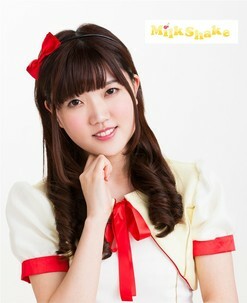 After Miyus' graduatation, MilkShake Nagasaki added five members in the same month. 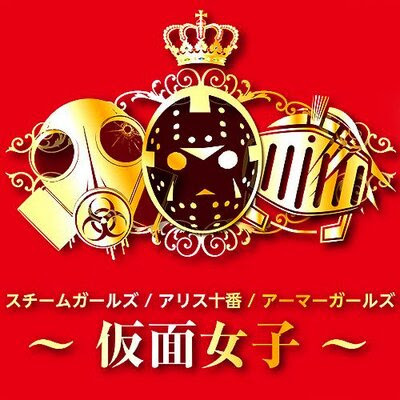 The added members were Emi Aikawa, Saki Yazawa, Rika Honda, Urara Hiraoka and Rin Nonomiya. Later on in the year, August to be exact, Mai Murakami announced her graduation, which left nine members for their second single. In February 2015, Rin Nonomiya decided to pursue other opportunities and graduate from the group. Back in April 2015, Runa Itoh graduated from the group as well dropping the group total to a mere seven members. 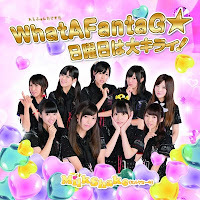 Earlier this year, a little bit after Runa graduated, the group added Mio Fujimoto to bring the total to eight members. I'm sorry if I confused you with names and numbers. I did the same to myself typing and researching this. The group is not color coded which is good for all of you reading and myself. 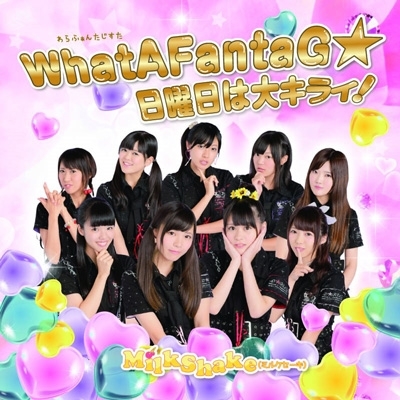 December 20th, 2014 - WhatAFantaG☆ / Nichiyobi ha Daikirai! The following two videos showcase the original lineup. 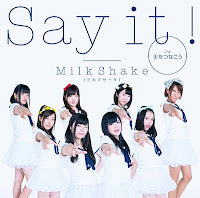 The first video I would like to show you is their debut music video Milk Shake Dai Sakusen. I actually really like this debut video. With the setting being in a school like most idol groups is one of my favorite types of background. The video itself is pretty good with the group just hanging around in the classroom thinking about things and talking together etc. As you see in the beginning and end, a letter is placed upon what looks like a male classmates shoes. I still wonder what that letter says. The coupling video for this track Just 2 Of Us is able to be viewed below. As you can see at the beginning, she is writing Arigatou or Thank You for all the non Japanese speakers. As the video progresses, you see them around the city with beautiful landscapes and big sights such as that giant anchor. The members look pretty as usual in their normal clothes. Music wise, I really like this song as well. It has a hip-hop tone to it. I also like the vocals. The blend well with each other. That was the final video the original lineup made. I hope I didn't give them too much nostalgia watching these. The next video is from their second single WhatAFantaG☆. I super like this song and video. The video is really great because it has two sets of costumes, the school girl ones and the sparkly Freedom jackets. Once again I say that the members look really pretty in this video.I do like the effect of the stars in the sky behind them and the view of the city as well when they filmed in the day. I want to visit that spot and take a breath of fresh air. This single is the last one of Itoh Runa and Rin Nonomiya and I have to say they made it count. The song is so catchy that I have caught myself humming along to it while at work and sadly white boy dancing along as well. I think that this song is in my top two of their videos along with their latest one. Their latest video Say It! has be my second favorite video of theirs and I will tell you why after the video. First and foremost; A one shot video? I love one shot videos! Anyways, at the beginning you get the see the latest addition to the group Mio Fujimoto (she kind of reminds me of Matsumura Kaori of SKE48). The ice cream cone she has looks amazing. I will say it once more, that the members are looking really pretty in this mv as well. After making their way around the area, they stop a couple of times to use their choreography, which is a smart move. Towards the end they make it to a platform along with fans of the group in the background, doing a planned choreography set as well. I really liked that part of getting them involved in the music video. The effects of the words scrolling around and the other effects make the video pop out more. I think they did a splendid job writing this song and singing it as well. How Did I Come Across MilkShake? Unlike past articles where I used YouTube as my outlet to find a certain group, I actually have a book with them in it. The book is Kyushu Idol Book and I got it for Christmas last year in order to discover more artists and MilkShake just so happened to be in there. I did a little research on the group and then I put them to the side to focus on other groups. Sorry. I came back across the group just recently when I saw they released the video for Say It! and I watched it a few times just to get my bearings straight with them again. MilkShake Nagasaki is a group that most people have not heard of because they are still underrated. This group has a long way to go in terms of gaining ground on other groups from that area such as Yamaguchi Kassei Gakuin. All in all, you need to look out for this group. They have loads of potential just waiting to strike. I can not wait to see what this group has planned next. I truly hope this group succeeds and I wish them the best of luck in the future. You Can Do It! Please follow this group and share them to everyone you know. Please and Thank You. The more people that get to know MilkShake, the better. You can follow me on Twitter or if you want to leave a comment. I do not mind! *And as always, have a great day no matter where you are!